Enjoyed the first Sunday of the 2015 NFL football season, but couldn’t find time to track all the games for waiver wire gems in your fantasy football league? Or did you auto-draft your fantasy team and now need to overhaul it with some new upside players? Well, don’t worry! Because we’ll be scouring the wire for you every week and providing you with early pickups to help you dominate your league! Or, if nothing else, you’ll have plenty of fodder to be angry about if these guys bust out next week. As usual, all pickups are less than 50% owned in standard Yahoo 12-team fantasy leagues as of Sunday evening. And of course, for my very first pickup, I break my own rule as Seferian-Jenkins is MORE than 50% owned. But I’m making an exception since earlier on Sunday, Seferian-Jenkins was under 50% owned, but started skyrocketing after his prolific chemistry with rookie signal caller Jameis Winston was on display. 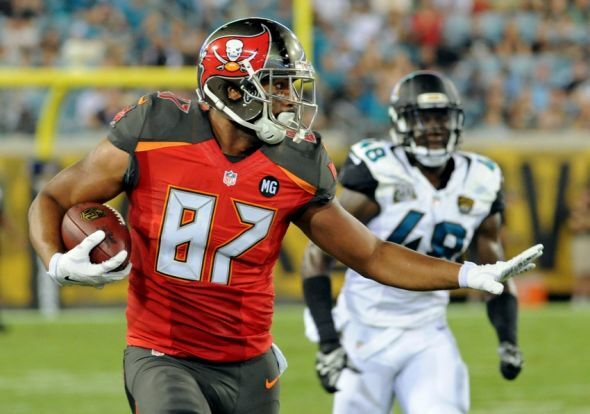 Seferian-Jenkins himself was a 2nd round draft pick in 2014 and showed plenty of upside prior to landing on Injured Reserve. But now that he’s healthy, turns out Gronk isn’t the only TE who could put on a show, as Seferian-Jenkins caught 5 of 7 for 110 yards and 2 TDs. He was a deep sleeper for most fantasy pundits in the preseason, but I think this cements it. Perhaps the absence of Mike Evans increased his targets, but the Bucs will have to play from behind a lot and Winston sure likes to look his way in the redzone. Worth a look in 12-team leagues and deeper. “He’s a great game manager.” Yes, we’ve heard it all before. Since he was drafted first overall in 2005, we’ve heard a lot about his upside. Of course, it wasn’t until Smith got to Kansas City that he became a good “game manager”. He threw plenty of TDs in 2014 (18), but none to a WR. And he continued the trend today with 3 TDs, again none to a WR. Doesn’t matter, though, because they all count the same for Smith. He completed 22 of 33 for 243 yards with those 3 TDs, tacking on an additional 15 rush yards. Did you know that Smith had over 110 rushing attempts over the last two years in Kansas City, averaging almost 5.6 yards per carry? With these stats, Smith will make a nice QB in 2 QB leagues, or backup in 12-team leagues or deeper. 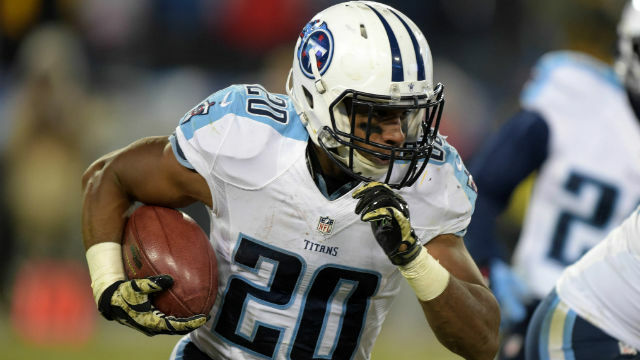 Bishop Sankey was a huge bust last year as a rookie in Tennessee. So people are understandably weary about any talk concerning a come back in 2015. But Tennessee doesn’t have anyone else after putting rookie RB David Cobb on IR. And Sankey, for once, didn’t disappoint, taking 12 carries for 74 yards and a TD adding 2 receptions for 12 receiving yards and another TD. Is this a sign of things to come? Well, the Titans were up big on the Bucs all day, so killing the clock probably contributed to Sankey’s carries. And his rushing TD was in the 3rd quarter where the Titans were already up 35 to 7. So don’t go crazy, but Sankey is worth a flyer in 12-team or deeper leagues. I’m really not buying it. Aaron Rodgers likes to spread it around and Randall Cobb wasn’t 100%. 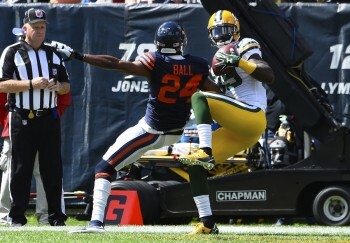 The Bears tried to shut down Cobb and Davante Adams, leaving Jones to get one on one coverage. Can he do it again? 4 receptions for 51 yards and 2 TDs? Sure he can. Will he do it again? I think Rodgers will go to whoever is open, and defenses won’t leave Jones this open again. Pick him up if you want, but you shouldn’t count on him week to week. Take a flyer in 14-team leagues or deeper. Well, we discussed the QB situation in Buffalo several times in the off season. But when EJ Manuel was finally shelved and Matt Casell was cut (and re-signed), it was clear that Tyrod Taylor and his impressive preseason was going to be the guy behind center for the Bills. 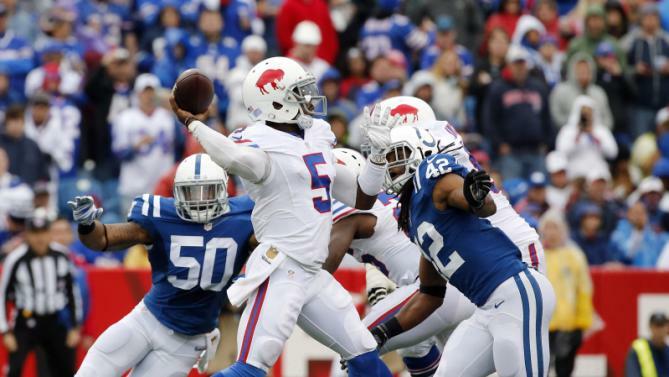 And in probably the most surprising game of the weekend, the Bills, led by Taylor, took care of Andrew Luck and the much hyped Indianapolis Colts. Taylor didn’t do anything extraordinary, but he held his own putting up a solid 195 passing yards and a passing TD with 9 rushes for 41 rushing yards. Most importantly, he didn’t turn over the ball. 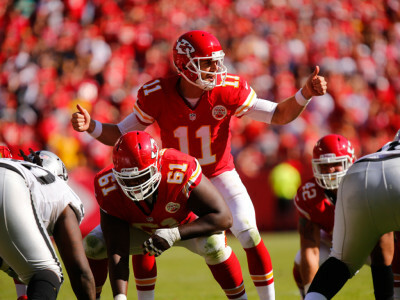 Need a backup QB in 14-team leagues and deeper? You could do worse. Well, well, hello there Mr. Fells. Mr. Darren Fells, that is. Sound familiar? Well, he’s the brother of TE Daniel Fells currently of the New York Giants. But other than that, he’s not someone you probably would know. Does grabbing 4 of 5 targets for 82 yards and TD mean you now need to pay attention? I kind of doubt it, as Fells is typically a blocking TE, but if you’re looking for a TE flyer in a 16-team league or deeper, you’re welcome to give him a stash. Everyone has heard of this guy. But no one has really cared since 2012. In his first game for the Bills, Harvin caught everything thrown his way (5 of 5) for 79 yards and a TD. Don’t get too excited, though, Rex likes to stay on the ground and Sammy Watkins was blanketed all day, so this might be Harvin’s best game of the season. Still worth a flyer as a WR5 in 12-team leagues and deeper. Yeah, again over 50%, but after Dez Bryant broke his foot and is not out 4-6 weeks, someone has to catch the ball in Dallas. 5 of 8 for 60 yards isn’t bad on it’s own, but I wouldn’t be surprised to see his targets bump up to the double digit range while Dez is out. Snag him quickly in all 10-team and deeper leagues. Trust me, I heard the collective groans when you read this. But Andre Ellington was carted off the field with what is presumed to be a PCL injury. This could last for several weeks if not the entire season, so someone may need to tote the ball in his absence. According to coach Bruce Arians, Chris Johnson is the “lead dog” in Arizona if Ellington doesn’t return. He’s not CJ2K anymore, but would CJ1K be that bad as a waiver wire addition? Take a flyer in 12-team and deeper leagues. Backup RB David Johnson will also be worth a flyer, as he may start stealing touches as the season progresses. He only had 5 snaps in the week 1 matchup, but he did take one for 55 yards and a TD, so an increase to 10-15 snaps per week might be enough for FLEX consideration. T.Y. Hilton had a scary injury, but now we know there was no structural damage and he may even play in the Week 2 Monday Night game. So feel free to snag Donte Moncrief, since we saw his upside last year when he inexplicably played behind Reggie Wayne, but he’s not likely to have the spotlight for long, which makes him a stash flyer in 12-team leagues and deeper. If Hilton is out longer though, Moncrief would be a must add in all leagues.